For fans of Netflix original series, there are probably only two shows that matter come October, 2017: "Stranger Things 2" and "Riverdale" season 2. But don't worry, Netflix Canada subscribers, both of those shows (plus a ton more) will be making their way to your TV screens, Oct. 27 and Oct. 12, respectively. "Stranger Things" fans no doubt have a ton of questions that were left unanswered after the end of season one: What happened to Eleven? Is Barb really dead? Will we visit the Upside Down again? And will Joyce ever stop screaming for Will? 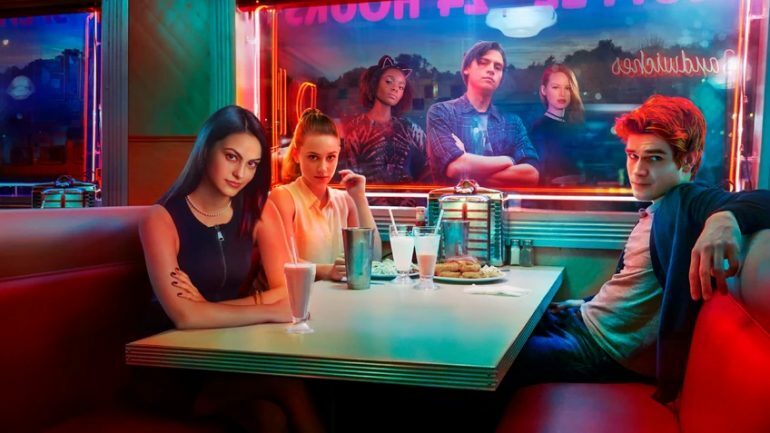 Meanwhile over in Riverdale, we'll be introduced to a bunch of new characters, including Veronica's nefarious dad, Hiram Lodge, as well as a new love interest for everyone's favourite redhead (no, not Archie), Cheryl Blossom. The citizens of Hawkins, Indiana, are still reeling from the horrors of the demogorgon and the secrets of Hawkins Lab. Will Byers has been rescued from the Upside Down but a bigger, sinister entity still threatens those who survived. Archie and the gang are back after solving the mystery of who killed Cheryl Blossom's brother, Jason. But even though the murderer is gone, there's still a lot of darkness, violence, and revenge going on in the sleepy town. That's right, the '80s are back and better than ever. In this reboot, we follow the story of heiress Fallon Carrington, who's unhappy to find that her billionaire father has become engaged to an employee, Crystal. Unfortunately for Fallon's dad, Crystal still has feelings for her married ex-lover. Basically, get ready for lots of drama. Directed by Didion's nephew Griffin Dunne, the Netflix documentary gets inside the life and the mind of one of America's most respected writers. The police ruled her death a suicide, but this documentary challenges that claim while honouring the LGBTQ's activist life and legacy.